Rockstar North needs more time to create its "deepest, most beautiful, and most immersive world yet." Fans of automobile theft will have to wait a few months longer than expected for the release of Grand Theft Auto V. Rockstar Games announced that the next installment in its flagship series has been pushed out of its spring release window, giving it a hard date of September 17, 2013. The publisher apologized for the delay on its website, stating, "We know that this short delay will come as a disappointment to many of you." According to the GTA team, it will be worth the wait. "GTA V is a massively ambitious and complex game and it simply needs a little more polish to be of the standard we and, more importantly, you require." Rockstar Games founder Sam Houser echoed that sentiment in a press release, calling it Rockstar North's "deepest, most beautiful, and most immersive world yet." 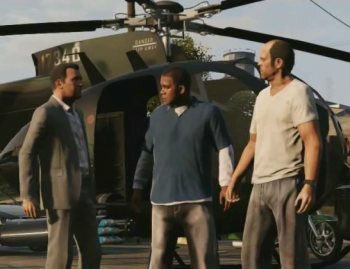 After months of speculation, Grand Theft Auto V was officially announced in late 2011, with Rockstar giving it a spring 2013 release window last October. It's been almost five years since the 2008 release of Grand Theft Auto IV; what's a few more months?